Well, local Cubers, it's official. David Finch, artist of, among other things, BATMAN REBORN, AVENGERS DISASSEMBLED, and CYBERFORCE is coming to Manila. The event will be sponsored jointly by Fully Booked and Comic Odyssey, and there'll be book signings, talks, and art competitions galore. Here's the official press release. Canadian-born comic artist and writer David Finch is in possession of a career that is both noteworthy and diverse—to say the least. Before bagging his current stint as an artist exclusive to powerhouse comic publisher DC Comics, he started out with Top Cow Productions, ably taking the reins from comic industry stalwart and Image Comics creator Marc Silvestri on the Cyberforce series. Finch went on to work on a number of other projects, including Ultimate X-Men, The New Avengers, and Moon Knight, working with such greats as Brian Michael Bendis and Charlie Huston. 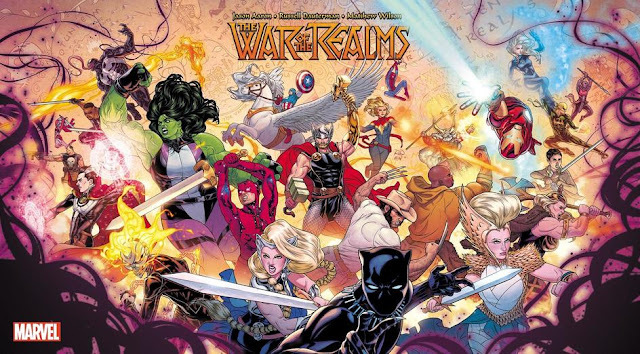 Crossovers such as Marvel and Image’s Witchblade/Elektra, among others, are also part of his repertoire. Finch has also dabbled in album art creation, working on nu metal act Disturbed’s third studio album Indestructible. He is also credited with creating the concept art of the film adaptation of Alan Moore’s Watchmen. Finch’s latest—but not the first time—work aptly involves the comic character first featured in DC’s Detective Comics series: the Batman, re-launched as part of DC’s New 52. Finch would specialize in inking Batman’s Dark Knight persona, creating art that would inspire one of the best Batman film adaptations to date: The Dark Knight (2008), which features Christian Bale as The Dark Knight and what many consider the late Heath Ledger’s most powerful and memorable role as the Joker. It is with much anticipation that Dark Knight aficionados await the next Batman film, The Dark Knight Rises, which is slated for release in July of this year; again helmed by Christopher Nolan with Bale reprising his role. 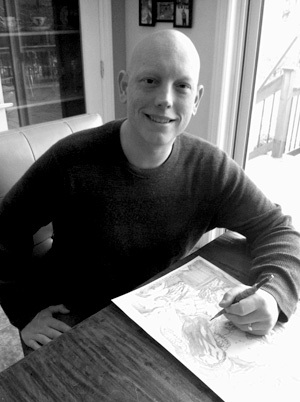 Finch is currently working on the second volume of the Dark Knight story arc (to be released in September 2012), which begun with Dark Knight Vol. 1: Golden Dawn, which he inked and penned (with Grant Morrison). Finch’s remarkable attention to detail is evident in both his writing and art, and reveals much of the Caper Crusader’s dark side; a testimony to his brilliance as one of the finest comics writer/artists of this generation. This March 11-13, David Finch will be visiting Manila for the first time. Fully Booked is holding a series of events, entitled “The Dark Knight Reborn” for Batman aficionados of all ages. On March 11 (Sunday) there will be a Book Signing at Fully Booked Bonifacio High Street at 3:00 p.m. On March 12 (Monday), Finch will be giving a talk with a Q&A portion, which will be followed by a Book Signing at the College of St. Benilde at 1:00-4:00 p.m. On March 13 (Tuesday), he will do the same at U.P. Diliman from 1:00-3:30 p.m., which will be followed by a Book Signing at Fully Booked Katipunan at 4:00 p.m. For Book Signing mechanics and guidelines visit http://www.fullybookedonline.com/davidfinch. David Finch will also be part of a panel of judges for the Batman Art Contest, which is comprised of three age categories: Bat-Mite (ages 4 to 10), The Robin Round (ages 11 to 15), and Caped Crusader (ages 16 and above). Winners of the Bat-Mite category will win Batman merchandise, while winners of the Robin Round and Caped Crusader categories will get to dine with David Finch. The deadline of submission of entries for all categories to Fully Booked’s Metro Manila branches is on March 1, 2012 (Thursday). While the deadline of submission for Fully Booked’s provincial branches is on February 23, 2012 (Thursday). For complete contest mechanics, visit http://www.fullybookedonline.com/davidfinch, or see posters for details. This event is brought to you in part by Warner Bros. Entertainment Inc., DC Comics, and Bonifacio Global City. I'll try my best to be there to cover the event, but I wish all of you joining the art contests the best of luck!